Veron Dumehjian was born to a wealthy Armenian family, but in 1915, when she was eight years old, everything changed. The Ottoman government forcibly removed her and her family from their home an deported them, sending them on a death march into the Syrian desert. One by one, her parents and siblings fell, either to exhaustion or to disease; Veron survived only with the help of distant relatives, spent years in an orphanage, and then returned to her native town to stay with her grandmother. 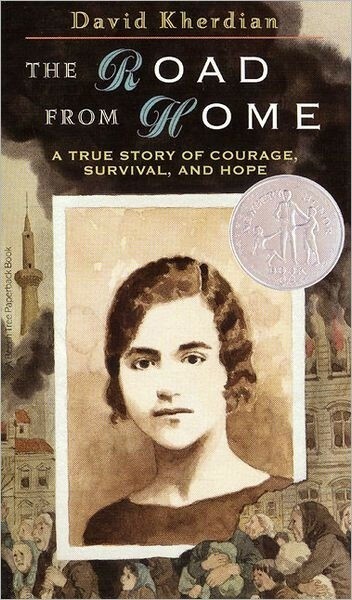 But that wasn't the end of the trials that faced her; the Greco-Turkish war displaced her to Smyrna, where she was caught up in the Great Fire and only survived being driven into the sea alongside other Greek and Armenian refugees thanks to a rescue from a nearby boat. Despite these horrors, few people know the story of the Armenian Genocide that cost the lives of 1.5 million people, including Veron's family. 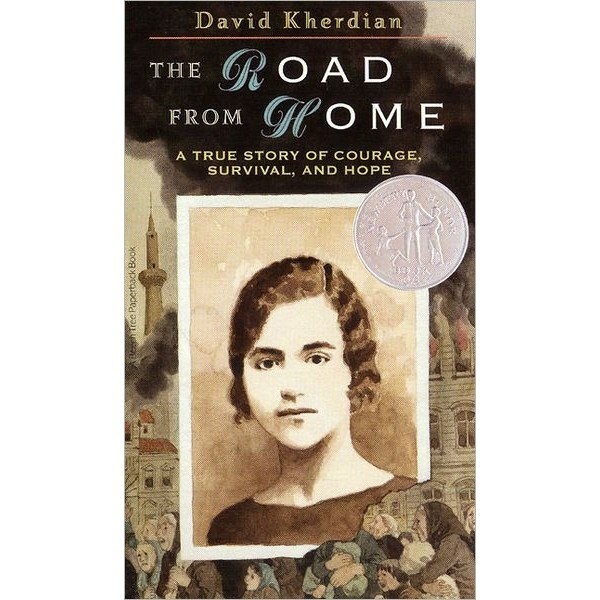 David Kherdian re-creates his mother's voice in telling the true story of a childhood interrupted by one of the most devastating holocausts of our century. This Newbery Honor book will open young readers' eyes to a little-known story of hardship, cruelty, and survival.